CURCUMIN IS A MIXTURE OF EXTRACTS DERIVED FROM TURMERIC. Curcumin comes from Turmeric. About 3% of Turmeric is Curcumin. Curcumin is the biologically active polyphenolic compound found in turmeric, a spice derived from the rhizomes of the plant Curcuma longa linn. Turmeric is one of the world’s best-selling spices. Almost everyone has heard of turmeric and what it can do for the body. Turmeric gets most of the attention but it is the chemical component curcumin in turmeric that provides most of its benefits. Curcumin: About 75% of "curcumin" is Curcumin. Most of the studies on this herb are using turmeric extracts that contain mostly curcumin itself, with dosages usually exceeding 1 gram per day. It would be very difficult to reach these levels just using the turmeric spice in your foods. If you want to experience the full effects, then you need to take an extract that contains significant amounts of curcumin.Since the curcumin content of turmeric is not that high…only around 3%, many people turn to supplementation with Curcumin as a way to receive therapeutic amounts. While numerous benefits of curcumin have been discovered and studied we will focus on the anti-inflammatory properties. We encourage you to continue your own research on the other benefits curcumin has shown such as antioxidant activity, neuroprotective activity as well as its positive effects on cognitive decline, ulcerative colitis, oral health, type 2 diabetes and major depressive disorder. Curcumin is a Natural Anti-Inflammatory Compound. Inflammation is an important function of the body because it helps the body combat foreign invaders and assists in repairing damage. Acute (short-term) inflammation is beneficial, yet it creates a major problem when it becomes chronic (long-term) and starts attacking the body’s own tissues. 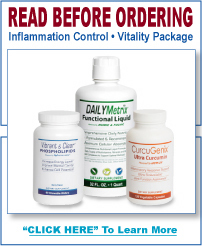 Now it is understood, that chronic, low-level inflammation plays a major role in almost all chronic, Western diseases. Curcumin and other natural anti-inflammatory herbs that can help fight chronic inflammation is of potential importance in preventing and even treating these diseases. It has been shown that curcumin is strongly anti-inflammatory, it is so effective that it matches the effectiveness of some anti-inflammatory pharmaceuticals. 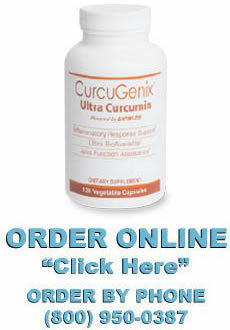 Curcumin is effective because it targets multiple inflammatory pathways at the molecular level. Curcumin suppresses activity of at least 5 categories of molecular signals that promote inflammation and joint destruction in rheumatoid arthritis. One such factor is that Curcumin blocks NF-kB, a molecule that travels into the nuclei of cells and turns on genes related to inflammation. NF-kB is believed to play a major role in many chronic diseases. Curcumin acts through multiple pathways and on numerous targets to limit the inflammatory response that underlies both rheumatoid and osteoarthritis. Understanding that curcumin is an excellent anti-inflammatory, it’s no leap to conclude that it may help with many arthritic conditions. Several studies validate this. In a study of patients with rheumatoid arthritis, curcumin was shown to be more effective than an anti-inflammatory drug. This is backed up by many other studies have looked at the effects of curcumin on arthritis with noted improvements several arthritic symptoms. One study worth noting, was a three-month trial involving 50 patients diagnosed by with osteoarthritis of the knee. Half the participants took a turmeric formulation in addition to standard medical treatment; second group continued following their physicians’ initial treatments. The results were reviewed after 90 days. The researchers noted a 58 percent decline in overall reported pain and stiffness as well as an improvement in physical functioning among the turmeric group compared to the non-turmeric group. These changes were documented with a scoring method used to assess symptoms of knee and hip osteoarthritis. Another scoring method showed a 300 percent improvement in the emotional well-being of the turmeric patients compared non-turmeric group. Blood tests showed a 16X decline in C-reactive protein, an important bio-marker for inflammation. 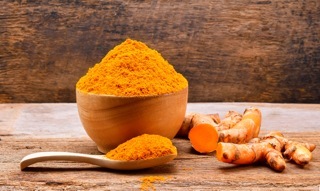 Patients in the turmeric group were able to reduce their use of non-steroidal anti-inflammatory drugs by 63 percent, in comparison to the non-turmeric group. This is obviously great news for the millions of people who suffer from osteoarthritis and have not received positive results from standard treatments.